Home » severe » Foley Catheter to Stop Nosebleed??? Foley Catheter to Stop Nosebleed??? A foley catheter, as shown above, is normally used to drain urine from the bladder, but it can also be used to stop severe nosebleeds... albeit under dire circumstances and when there is no other suitable alternative. 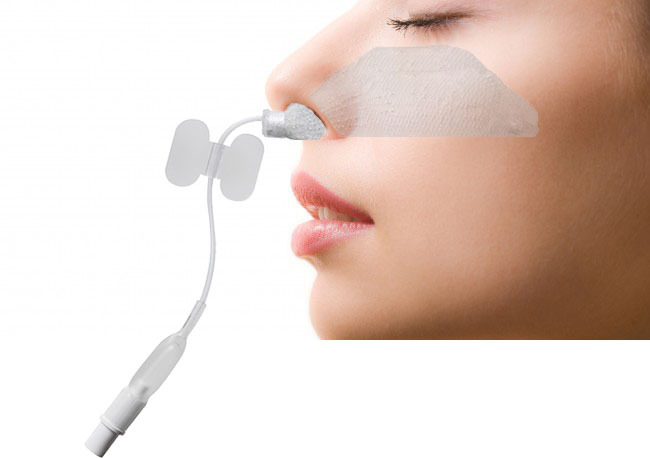 Normally, for a severe nosebleed, the nose can be packed with a tampon like packing material. The packing material I like best is a rapid rhino which is illustrated below. Nasal packing like the rapid rhino exerts pressure within the nose to the point whereby the bleeding stops (like putting direct pressure on a leg wound to stop bleeding). Watch video. Once inserted so the catheter can be seen in the back of the mouth, inflate balloon with saline. 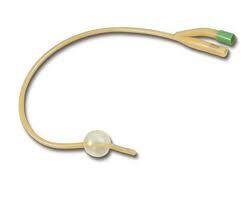 After inflating the foley balloon, pull the foley catheter back out as if to take the foley catheter out. However, given the foley balloon is inflated, it will snug up in the back of the nose such that it can't be taken out. 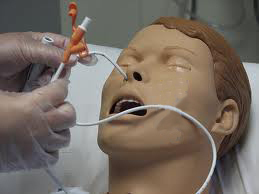 Pull on the foley catheter with enough pressure to equal the amount of pressure desired to stop the nosebleed. Once at the correct tension, clamp the foley at the nasal entrance to prevent it from falling back into the nose. Packing with gauze in the front of the nose can also be performed to prevent bleeding coming out the front. Of course, this is a TEMPORARY measure and should be replaced as soon as possible with appropriate nasal packing material. But, it certainly works when in a bind. Here's a video showing how cauterization can stop nosebleeds.